Swamps (cedar and hardwoods), fens, sedge meadows, wet thickets. 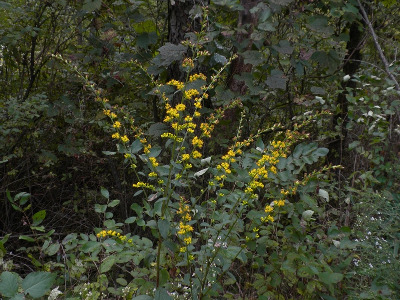 This is one of the most distinctive goldenrods, with very scabrous leaves, the blades of the large lower ones often 5–8 or even 10 cm broad, tapering into winged petioles. 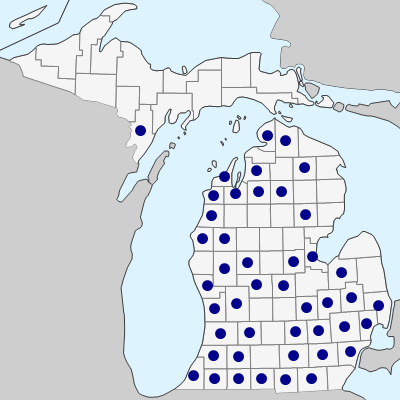 Plants of intermediate appearance from Berrien, Kent, Macomb, Oakland, and Wayne Co. sites appear to be hybrids with S. uliginosa. The leaves are scabrous above, but narrower than in S. patula, and the stems are scarcely angled. MICHIGAN FLORA ONLINE. A. A. Reznicek, E. G. Voss, & B. S. Walters. February 2011. University of Michigan. Web. April 19, 2019. https://michiganflora.net/species.aspx?id=463.